The Competition and Markets Authority (CMA) said that it would refer the merger for an in-depth investigation unless Arriva offered acceptable undertakings to address the CMA’s competition concerns. The CMA is concerned that as the Northern Rail franchise overlaps with rail and bus services already run by Arriva, any loss of competition could lead to higher prices or a reduction of service quality for passengers on a number of routes. Arriva has not offered any undertakings in lieu and the CMA will therefore now refer the merger. A decision on the merger will be made by a group of independent panel members supported by a case team of CMA staff. The deadline for the final report will be 3 November 2016. The Northern Rail franchise is currently the largest train franchise in Great Britain in terms of the number of services run. It operates over most rail routes in northern England. Arriva Rail North Limited (ARN), a subsidiary of Arriva plc (Arriva), started operating the Northern Rail franchise on 1 April 2016, after being awarded the franchise by the Department for Transport last December. Arriva will continue to operate the franchise should the Competition and Markets Authority (CMA) decide to carry out an in-depth investigation; however, the CMA has issued an enforcement order which prevents full integration of the businesses until the CMA has concluded its investigation. In addition to the Northern Rail franchise, Arriva currently operates 3 rail franchises, including Cross-Country Trains Limited and Arriva Trains Wales, two rail concessions and one open access rail service (with another one planned). Arriva’s existing rail services overlap with a number of journeys covered by the Northern Rail franchise. The CMA’s initial merger review has found that on 38 overlapping journeys there was little or no competition from other service providers and, as such, the CMA is concerned that any loss of competition between Arriva and the Northern Rail franchise could lead to higher prices or a reduction of service quality for passengers on these routes. Arriva is also one of the largest bus operators in the UK, operating around 5,900 bus services in London and the South East of England, the North East, North West, as well as in the Midlands and Wales. There is a substantial overlap between Arriva’s network of bus services and the services offered under the Northern Rail franchise. The CMA found that the franchise award creates competition concerns in relation to these ‘bus-on-rail’ overlaps on 44 routes where there is limited or no competition from other bus or rail service providers, which could lead to higher prices or a reduction of service quality for affected passengers. Arriva now has 5 working days to offer proposals to resolve the competition concerns identified by the CMA. If Arriva does not offer such undertakings, or the CMA does not accept them, the CMA will refer the Northern Rail franchise award for an in-depth phase 2 investigation. "Arriva already runs significant existing train and bus operations in the area covered by Northern Rail. 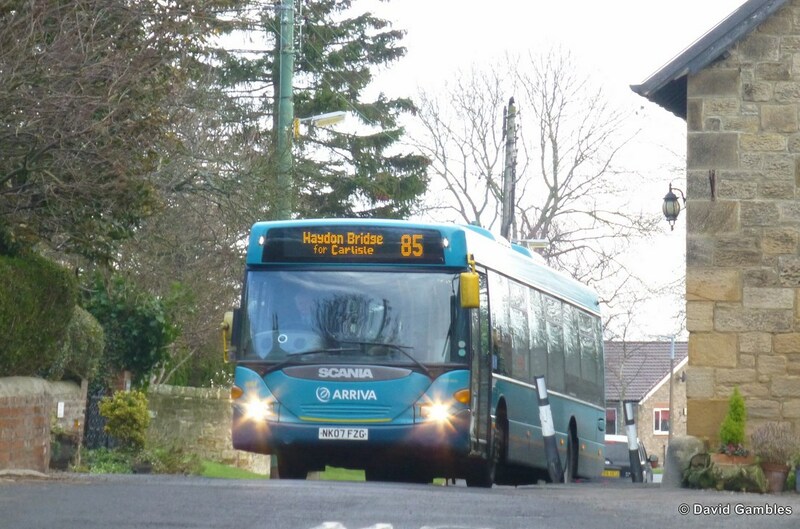 We have identified a number of services and routes where passengers have previously had a choice between competing operators, but which will now be run by Arriva. This situation could potentially lead to a rise in non-regulated fares for passengers so unless Arriva is able to offer suitable undertakings now, we intend to carry out an in-depth investigation to look in more detail at these concerns, and decide whether any remedies are required."